A forum letter writer has urged the Central Provident Fund (CPF) Board to stop blaming the people for starting the rumour that the CPF Board may have changed the retirement sum Payout Eligibility Age (PEA) to 70 years old from 65 years old. This untrue rumour arose last week when a picture of a letter sent by CPF Board to a senior citizen went viral online. The letter informed the 65-year-old member that he can receive higher payouts if he delays the start of his payouts and even states that he would only start receiving payouts when he turns 70, automatically by default, if he does not do anything. She further asserted that “It is the CPF Board’s actions that have caused the people to once again say that the Government is trying to hold back the money of Singaporeans.” Read Madam Quek’s letter in full here. 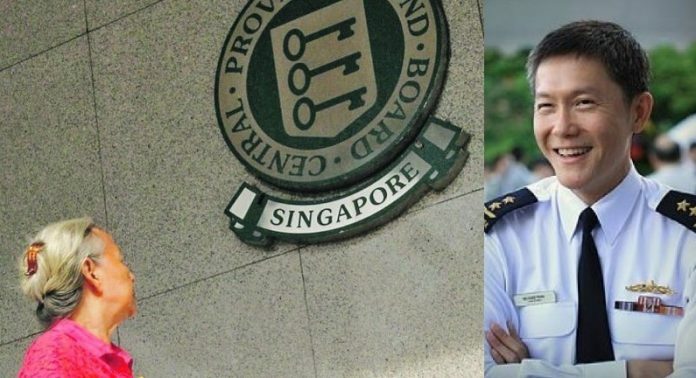 The CPF Board is a statutory board under the Ministry of Manpower that is responsible for investing compulsory contributions that are made by Singaporeans and Permanent Residents into their CPF accounts. The Board is presently headed by former Chief of Navy, Ng Chee Peng, who now serves as chief executive of CPF Board. Ng Chee Peng is the younger brother of PAP MP Ng Chee Meng. Besides serving as Minister in the Prime Minister’s Office, Ng Chee Meng also serves as secretary-general of the labour movement.